Dr. Herodotos Herodotou (male) is a tenure-track Lecturer in the Department of Electrical Engineering, Computer Engineering and Informatics at the Cyprus University of Technology, where he is leading the Data Intensive Computing Research Lab. He received his Ph.D. in Computer Science from Duke University in May 2012. 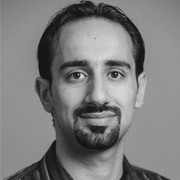 His Ph.D. dissertation work received the SIGMOD Jim Gray Doctoral Dissertation Award Honourable Mention as well as the Outstanding Ph.D. Dissertation Award in Computer Science at Duke. Before joining CUT, he held research positions at Microsoft Research, Yahoo! Labs, and Aster Data as well as software engineering positions at Microsoft and RWD Technologies. His research interests are in large-scale Data Processing Systems and Database Systems. In particular, his work focuses on ease-of-use, manageability, and automated tuning of both centralized and distributed data-intensive computing systems. In addition, he is interested in applying database techniques in other areas like scientific computing, bioinformatics, social computing, and maritime technologies. His research work to date has been published in several top scientific conferences and journals, two books, and one book chapter. He is actively participating in two large EU-funded projects, namely STMV (2014-EU-TM-0206-S) and NOTRE (H2020-TWINN-2015).